The last of my August Aquasitions has a little bit of a story behind it. See, I went to this Wizard of Oz convention with my husband this summer. One of the events was a contest for decorating green glasses. I won a prize unexpectedly, and the prize was a $15 gift certificate to Toys'R'Us. I used that prize to purchase my next Aquasition online. I originally intended to get an Aquaman action figure. 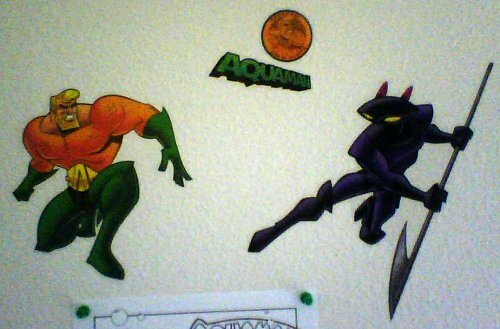 But then I spotted Batman: The Brave and The Bold Wall Stickers and realized I just had to get them. The full set contains some very cool Batman images from Batman: The Brave and the Bold. Like Colorforms, these are vinyl cut-outs that stick to smooth surfaces, including most walls, doors, and some foreheads. 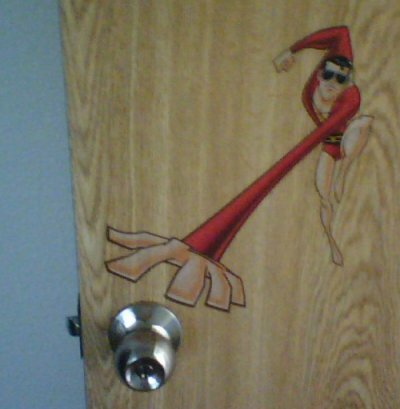 Who better than Plastic Man to protect the doorknob? 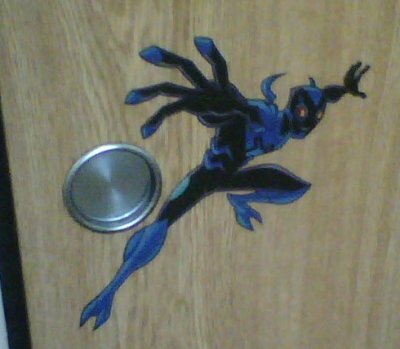 Blue Beetle protects the closet from marauding ... um, closet monsters? 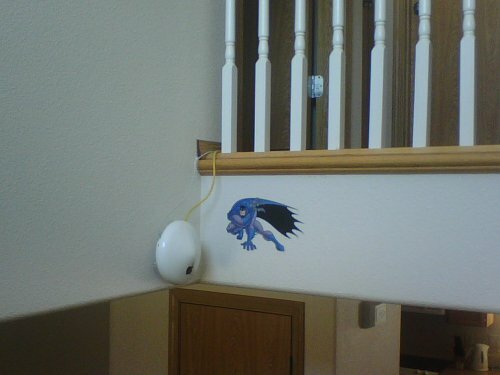 Batman protects the router from viruses and other nasties. Aquaman gets his own sticker, and Black Manta is one of only two villains in the set. There's also a circle sticker of Aquaman and an Aquaman logo. The other Aquaman appearance in the set is a tad more subtle. 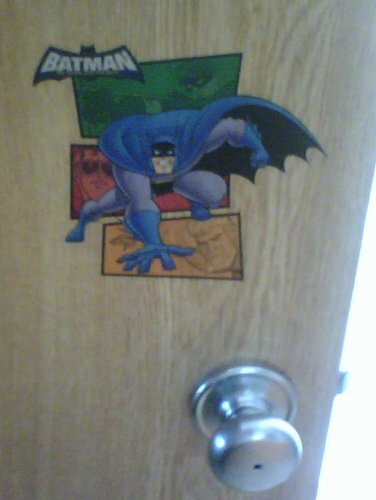 He's also on this Batman sticker, along with Green Arrow and Plastic Man. I decided to have this one guard another door in the house. The best fun is that these can be pulled off and moved around, allowing me to constantly redecorate the house (much to my husband's annoyance). I really feel like I got my money's worth out of this, especially since I only really had to pay shipping costs.